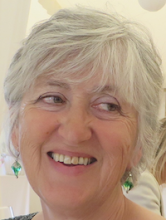 Sue Hepworth : What do you want to know? I've just discovered your blog. What a find! Your musings and meanderings are entertaining and encouraging. I've recently returned to Derbyshire after over 20 years living in Asia so I'm feeling pretty directionless at the moment. I'm almost at the end of the third draft of a novel but haven't managed to drag up the motivation to crack on with it since returned. Your posts have made me realize I need to be less hard on myself. I'll get there - I just need to allow myself time to settle back. How nice of you to comment. Thank you for the encouragement! Thank you, Marmee. That's very helpful. Hi Andres, Dave says he does remember you from Dronfield. Because it reassures me even accomplished writers experience times of lack of hope but do carry on. Your blog is a beacon of confidence for others, even on your grey days.